How to install the Ranger KMS HSM via Ambari with a plain text password. 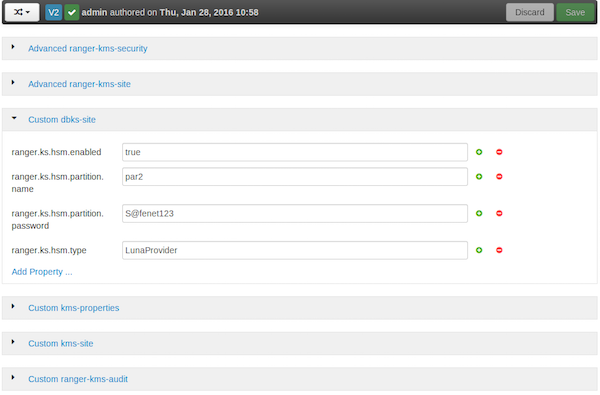 Install the SafeNet Luna SA Client software (link below). You must have a separate partition for each KMS cluster. Complete “Installing the Ranger Key Management Service”. Click on Next and follow the instructions to install Ranger KMS.